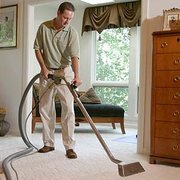 October 2, 2015 (Powerhomebiz.net) Kingdom Cleaning Services offers top quality, full service professional general and janitorial cleaning services for residential and commercial clients in the Los Angeles metropolitan area. The company’s experienced and well trained staff provides the best general cleaning services to clients throughout Orange County, LA County and the Inland Empire. With over ten years of delivering excellent quality janitorial and general cleaning services to hundreds of clients, Kingdom Cleaning Services is the right company to contact for any cleaning project. The company’s experienced staff is highly trained on the best cleaning methods and the latest products to assure customer satisfaction with every job. It uses only high quality and environmentally safe cleaning solutions and processes for every cleaning service. Its products are safe for people and pets. For regularly scheduled commercial janitorial services in the Inland Empire or a fall window cleaning for a home in Orange County, Kingdom Cleaning Services offers a wide range of general and task specific services. These services are available on a regularly scheduled basis or as a one-time cleaning project. Kingdom Cleaning Services is dedicated to achieving high customer satisfaction on every job. Scheduling any cleaning service is quick and easy. The company offers flexible hours to reschedule an appointment or accommodate a one-time project. To quickly respond to any emergency, its expert cleaners are available 24 hours a day, 7 days a week. For more information about its janitorial cleaning services in LA County or another home cleaning service in the Inland Empire, or to request a free quote, contact Kingdom Cleaning Services through its website http://www.kingdomcleaningservice.net/, by email at kingdomcleaning@ca.rr.com, or by phone at (877) 833-1430.